Do you know that Tony Curtis, George Cukor, Estée Lauder, Calvin Klein, Ferenc Puskas, William Fox, Johnny Weismüller, Paul Simon, Victor Vasarely, Andy Grove, Milton Friedmann, Robert Capa, Elie Wiesel are all Hungarians ? Goldie Hawn, Steven Spielberg, Adrian Brody, Drew Barrymore, Peter Falk, Paul Newman and Alanis Morisette is also said to have Hungarian origin. Most Hungarian men proud of Puskas and the Hungarian inventors. 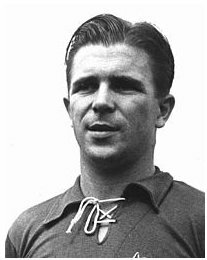 Perhaps Ferenc Puskas is the best known Hungarian in the world. Puskas Ferenc was born in 1927 in Hungary. He was a very successful football player and manager. He was 4 times top scorer in both the Hungarian and Spanish soccer championship. He scored 84 goals in his 85 international matches for Hungary. He scored 514 goals in Hungarian and Spanish leagues in 529 matches. He won three European cups, ten national championships (5 Hungarian and 5 Spanish). In 1995 he was recognised as top scorer of the XXth century by IFFHS. He was also very successful as a trainer/manager he leads Panathinaikos to three Greek championship between 1969-1972. He lead Panathinaikos to Europe Cup Final in 1971. This story was on the goal.com about Puskas, but there are many other. “I was with (Bobby) Charlton, (Denis) Law and Puskas, we were coaching in a football academy in Australia. The youngsters we were coaching did not respect him, including making fun of his weight and age. “We decided to let the guys challenge a coach to hit the crossbar 10 times in a row, obviously they picked the old fat one. “Law asked the kids how many they thought the old fat coach would get out of 10. Most said less than five. Best said 10. “The old fat coach stepped up and hit nine in a row. For the tenth shot he scooped the ball in the air, bounced it off both shoulders and his head, then flicked it over with his heel and cannoned the ball off the crossbar on the volley. Harry Houdini was born as Erik Weisz in Budapest, 1874. He was one of his parents seven children. He arrived to the United states in 1878 with his mother and 4 brothers. His father served as a Rabbi in Appleton, Wisconsin. Before Houdini started his magical / illusionist career he was a successful athlete in the Pastime Athletic club track team. In the age of 9 he performed as a trapeze artist. When he started magic he wasn’t successful in the beginning. He started with card tricks, just later started to perform escape acts. This made him very famous. He performed throughout the US, UK, France and many other places. He escapes from handcuffs, ropes, chains, put underwater, held his breath in a milk can, escape from Chinese water torture cells, several times was buried alive. He almost died at the first time, when he was buried in 6 feet depth under the ground. When he finally broke the surface he fell unconscious, and was pulled out by his assistants. He later wrote about it as “the weight of the earth is killing” and “it was very dangerous”. He challenge the police to keep him locked many times. He was also starring in some films and was a president for a Magican society in the United states. He was also an aviator as well. There were many famous Hungarians in film, including actors, directors, cinematographers and managers as well. There were times when Hungarian was a very popular language in Hollywood. Although his name doesn’t sound like Hungarian, Tony Curtis was born of two immigrant Hungarian parents from Mateszalka Hungary. Curtis was a film superstar most popular in the 1950-1960’s. He was starring in more than hundred films with Marylin Monroe, Burt Lanchester, Jack Lemmon and many others. He was active as an actor for six decades. His famous films are: The Boston strangler, Some like it hot, Houdini, The Defiant Ones, The Outsider, Spartacus, The Vikings. 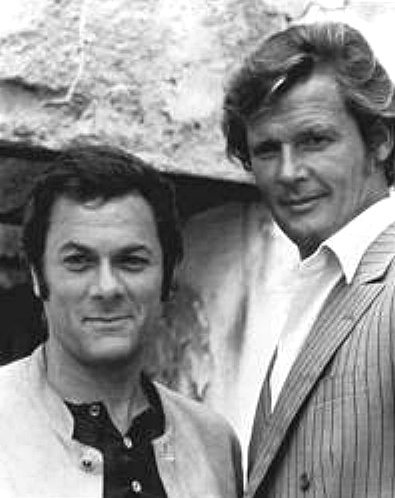 He starred in The Persuaders the popular series with Roger Moore. His daughter Jamie Lee Curtis is also become a film star. “I used to be good friends with my depression, saying oh I’m so depressed, or life is terrible.” – it is so Hungarian I would say..
Tarr Béla is a famous film director. His most known and praised film is the 7 hour long Satantango, based on the novel of his friend Laszlo Krasznahorkai. Both Satantango and Werckmeister harmonies are very highly regarded by film critics, some of them stating as the best films ever made. As Jancsó he is also known of long takes and using non-professional actors to achieve realism. The Turin horse (2011) was his latest film, when he announced retirement from film direction. Since then he teaches at Sarajevo film school. István Szabó film director is famous about he’s film Mephisto, Colonel Redl, Hanussen. Mephisto won an Academy Award (Oscar prize) as a Best foreign language film in 1982. It is interesting that the film was recorded totally in German language. In these films Szabo worked together with Austrian actor Claus Maria Brandauer. Laszlo Nemes film director won an Oscar (and many other prizes) with his first film, Son of Saul in 2016. Before he was the assistant to Bela Tarr, see above. Kovács László cinematographer is known for the Ghostbusters, Miss congeniality, My best friends wedding, Easy rider among others. He left Hungary in 1956 as Zsigmond Vilmos. Smuggled a documentary he’d created with friend, Vilmos Zsigmond, see below, of a Hungarian revolt against Communist troops into Austria, having carried 30,000 feet of film with them. Zsigmond Vilmos is a cinematographer of the Deer Hunter. He left Hungary in 1956. He won an Oscar for the Close Encounters of the Third Kind (Steven Spielberg) and had 13 other wins and 12 nominations. Lajos Koltai Cinematographer, film director is famous for the cinematography of the film Malena which he was nominated for the Academy Award. He filmed the Mephisto as well which won an Academy Award in Foreign language film category, directed by Istvan Szabo. Later he started to direct films as well, he directed the Fateless based the novel of Nobel-prize winner Imre Kertész, and later the Evening, Aline & Wolfe, and Spider Dance. Andrew Vajna was the producer of the Rambo, Total recall, Terminator 3, Die hard with a vengeance and Evita movies among others. was a famous Hungarian director in Hollywood. He directed films like My fair lady, Gaslight, Born yesterday, The Philadelphia story, The Star is born. Michael Curtiz was a Hollywood film director, who directed the Casablanca (Humphrey Bogart, Ingrid Bergman) for example. Hungary is rich in great musicians as well. Ferenc Liszt was a famous Hungarian composer and pianist. He was considered the best pianist of the World as well in the 19th century together with Frederic Chopin. He was a real virtuoso. He started as a child prodigy. He wrote around 1500 pieces. His most famous pieces are the Sonata in B minor and the Années de Pelerinage, and the Les Preludes. Zoltán Kodály was a Hungarian composer, ethnomusicologist, pedagogue. He is most known about his famous music teaching Kodály method. Other thing he is famous for collecting folks songs with a phonogram cylinders together with his lifelong friend Béla Bartók. Kodály’s wife died in 1958, and he married with his 19 year old student Sarolta Péczely, whom he lived together until he died in 1967. Béla Bartók (born Béla Viktor János Bartók), friend of Zoltán Kodály, is a famous Hungarian composer and pianist. As a child prodigy he could played 40 pieces on the piano at the age of 4. He’s first Opera is the Bluebeard’s Castle was dedicated his first wife Márta Ziegler. He was a Professor on the Royal Academy teaching piano, among his notable students were Fritz Reiner, Lili Kraus, Sir Georg Solti, György Sándor, Ernő Balogh. He don’t liked the Nazis (refused to give concerts in Germany) and immigrated to the United states with his second wife Ditta Pásztory. He is considered one of the most important composer in the 20th century. Together with Kodály they collected folk songs, not just in Hungary, but many other countries as well (Moldavia, Algeria, Turkey as well, apart from countries in the Karpathian basin). Later Bartók analized, and used these folk music. He started to have health problems in 1940, leukemia was diagnosed later, and he died in 1945. Miklós Rózsa is a Hungarian composer who won several Academy Awards (Spellbound, the Double Life, Ben Hur). He lived in Hungary, France and from 1940-1995 in the United states. Mark Knopfler is a lead guitarist and singer of the famous rock band Dire Straits. His father was Hungarian and immigrated to Glasgow where he met the mother of his future son. His brother David also played in the band. Hungary won 168 Gold medals in Olympics. In Water Polo perhaps half of the Olimpic Gold medals won by Hungary, such as the latest World Championship. Famous Hungarian athletes, Hungary won several gold medals in Olympics. has won 7 Olympic Gold medals in fencing. has won 6 Olympic Gold medals in fencing. has won 5 Olympics Gold medals in gymnastics. is a five times Olympic champion in three Olympics and a world record holder for almost 17 years. has won four Gold medals in Medley swimming in 1988/1992 Olympics. He was the first in the world who swum 200mm Medley under two minutes. He was the World Swimmers of the Year in 1987 and 1991.
has won 4 Olympic Gold medals in fencing. was a three times Olympic winner in boxing for Hungary in 1948,1952 and 1956. Papp was undefeated in the ring during his carreer. He was the coach of the Hungarian national boxing team for long years. The biggest closed Sport facility in Hungary gets the name of Papp Laszlo Budapest Sports Arena. Judit Polgár is the best female chess player, ever. She leads the World rank list from 1989-2015. She is the only woman who defeated a reigning world number 1 player, and defeated 11 former world champions in classical or rapid chess. Her two sister, Zsuzsa (Olympic and World Champion), and Zsófia (8th of the World) are also very famous. It is interesting that in 1993 former World champion Bobby Fisher stayed at Polgár family. Victor Barna was a famous table-tennis player who won 22 World championship, and had 40 medals in total. He lived in Hungary, after lived in France from 1935, later in England from 1938. After the World war he played for England. Hungary is also very strong in water-polo, fencing, swimming, and kayak-canoe in which Hungary won lots of Olympic Gold medals. The story doesn’t end here.. The legendary swimmer Mark Spitz, who has won 7 Olympic Gold medals, all with a World record in 1972 Olympics has also the Hungarian origin: his grandparents left Hungary after the second World War. Johnny Weismüller or Tarzan in the original movies was a legendary swimmer, he won 5 Olympic Gold medals in 1924-28 and a bronze in water polo. Yes he was a Hungarian as well (His Swabisch parents is from Temesvar). He was the first to swim 100 meter under 1 minute. There are many famous Hungarian writers. Kertész Imre won a Nobel prize in 2002. When he was 14 years old in 1944 he was in Auschwitz and Buchenwald as well, and returned in 1945, when the camps was made free. His most famous work is Fateless, which a semi-autobiography about a 14 year old Hungarian Jew in the concentration camps. Márai Sándor was a well-known and acknowledged writer in the 1930’s. He left Hungary in 1948. In Hungary he was neglected from literature. From 1948-1952 he lived in Italy, later he moved to New York. He moved back to Italy in 1967-79, and later went America again, and lived there until his death. He was born in Gyula, Hungary later he moved to Germany and lived in many other countries as well. His famous novel Satantango () was filmed by his friend Tar Béla. The 7 hour long film has a rating of 8,6 on imdb. Laszlo won a Man Booker prize in 2015. His famous books: the Melancholy of resistance, War and war, Satantango, Seibo there below. Nádas Péter was born in Budapest. His mother died due to an illness when he was 13, his father died 3 year later. Magda Aranyosi was the guard for him. He studied journalism and photography as well. He worked as a photo reporter for a very popular Hungarian magazine. His famous books: A lovely tale of photography, Parallel stories, The End Of the Family Story. She was born in Debrecen. Her works have been published in 42 countries. Eszterházy Péter studied Mathematics originally and worked as a Mathematician between 1974-1978, later become a freelance writer. He is from the Magnate Prince Eszterhazy family, which was the highest ranked family in Austria-Hungary, with many sumptous Castles throughout in Austria and Hungary. Andre Kertesz is known for his compositions and photo essays.He was born in Hungary in 1894. Kertesz later moved to Paris and work for the famous VU magazine. Before the War Kertesz emmigrated in the US in 1936.
was a very famous Hungarian war photographer and photojournalist, he covered 5 wars. He was born with the name Friedmann Endre Erno in Budapest, Hungary. First he wanted to be a writer. In First Indokina war he stepped on a landmine and died, when arrived in a hospital. His famous saying was: if your photographs aren’t good enough, you are not close enough ! Was born in 1899 in Brasow and was called Gyula Halasz, he gets his pseudonym by his birthplace. He went to Berlin in 1920 and worked for Hungarian papers as a journalist. There he become friends with older Hungarian artists whom moved to Paris later, as he did in 1924. He lived there for the rest of his life. He lived in the Montparnasse quartier and continued to work as a journalist. He become friend with American writer Henry Miller. His love for the city and his job led him to photography and touted by Andre Kertesz. He photographed Paris and in 1933 published his firts collection in a book called Paris de Nuit (Paris by night). He photographed many of his fellow people at that time including: Dali, Picasso, Matisse, Giacometti and others. Máté Bence is a famous award-winning bird/wildlife photographer. How he is working can be checked in the films called the Invisible photographer. He build hides to make realistic action photographs of wildlife, mostly birds. was a Hungarian born painter, photographer,designer and professor in Bauhaus school. Rubik Ernő sculptor, architect, designer, university teacher is a famous inventor of the Magical cube. The cube originally was designed as a tool showing 3D movements, but become very popular as a game. Szent Györgyi Albert doctor and biochemist was the first who extracted Vitamin C, and later Vitamin P as well. He won a Nobel prize in 1937.
were famous physicists invent atomic energy and atomic bomb. was invented the binocular, some of his lenses very popular even today for example a manual focusing (at that time all lenses was like that) 85mm f/2.2. Not Canon or Nikon, but Petzval. Lomography was the manufacturer for this lens. was invented the safety match. Estée Lauder was born as Esther Menzer in Corona, Queens, New York. Her parents were Hungarian-Jewish emmigrants. She was an extremely successful businesswoman. She started her business by helping his Uncle Dr. Schotz, a chemist who made different cosmetics products. After finishing school she helped her Uncle, and started to sell products to her friends. In 1953 she introduced her first fragrance, named Youth Dew which was a bath oil and a fragrance in one. This product gives her a huge succes: 50,000 bottles were sold in the first year, 30 years later 150 million battles were sold. George Soros is a Hungarian born business magnate, investor, author and philanthropist. He is one of the 30 richest people in the World. He is the chairman of Open society foundations. He is also known as the men who broke the Bank of England during the Black Wednesday in 1992, which resulted him 1 Billion USD profit. He also supply the Central European University in Budapest. Have you heard about the 20th century Fox ? This gentlemen founded the predecessor company, Fox Film corporation in 1915, and the Fox West Coast Theatre chain in 1920. William Fox was born in Tolcsva, Hungary in 1879, originally with a name Wilhelm Fuchs. His parents was German Jews. The family later moved to New York city. In his young years Fox worked as a newsboy. He started his own company at 1900 which he sold four years later, for which he purchased his first Nickelodeon (Movie theatre operating with 5 cents coins). He lost control over his company in 1930 due to several reasons, the stock market collapsed, he had a car accident, and had a Government antitrust action. Fighting against bankruptcy he attempted to bribe the judge John Warren Davis and the perjury, for which he was sentenced to 6 month prison. After the prison months Fox retired from film business. In 1935, Fox Film Corporation, merged with Twentieth Century Pictures to form 20th Century-Fox. William Fox died in 1952. Andy Grove was a CEO of Intel corporation and Time magazin’s Man of the Year in 1997. He was born in 1936 in Budapest as András István Gróf. He moved to the States from Communist Hungary in the age of 20. He finishes his studies in the United states. Later he become the “guy who drove the growth phase” in the Silicon Valley. Adolphe Cukor is the founder of Paramount film studio. He was born in Ricse, Hungary. At the age of 16 he went to the United states. He started to work as an employee and after he start his Own fur business at the age of 19. Later 25 people worked for him. He founded the Paramount studio in 1912. It is the last studio which is still located in Hollywood (part of Los Angeles).